It can be tough getting through winters in Connecticut, but alongside the hard work, there are ample opportunities for outdoor merriment. 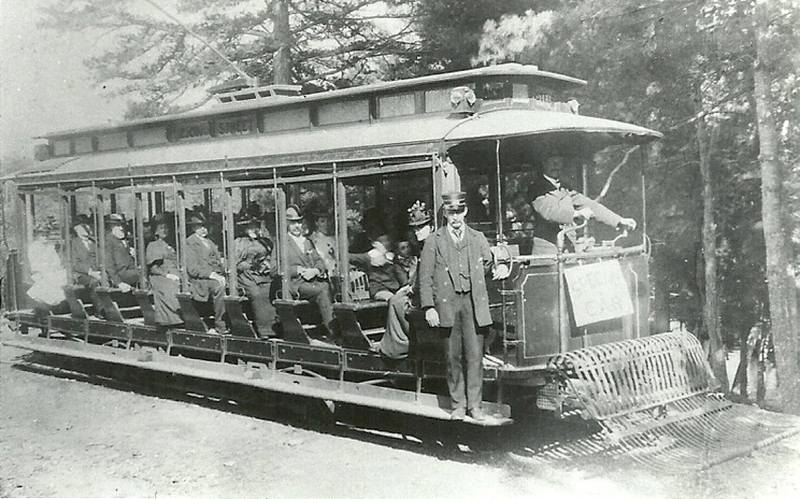 Here are a few images from our collections showing all of the above. 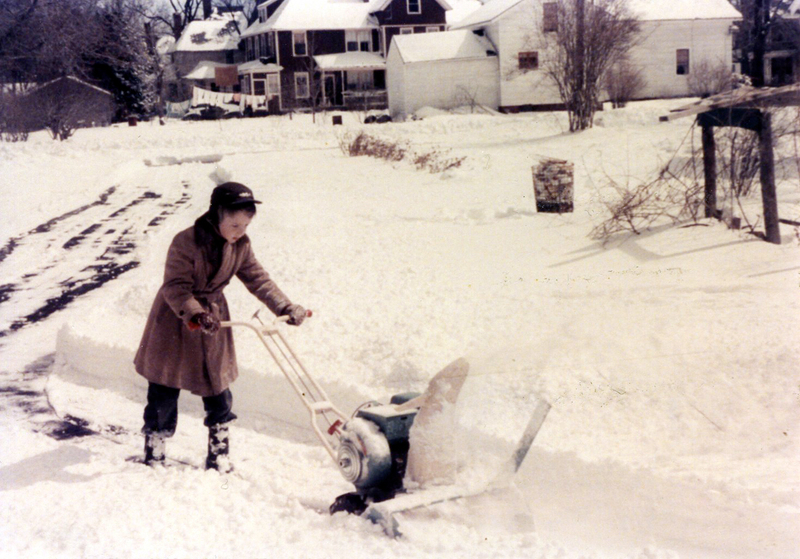 Young Robert Sibley Birge is working hard, running a snow blower in the mid-to-late 1950s. 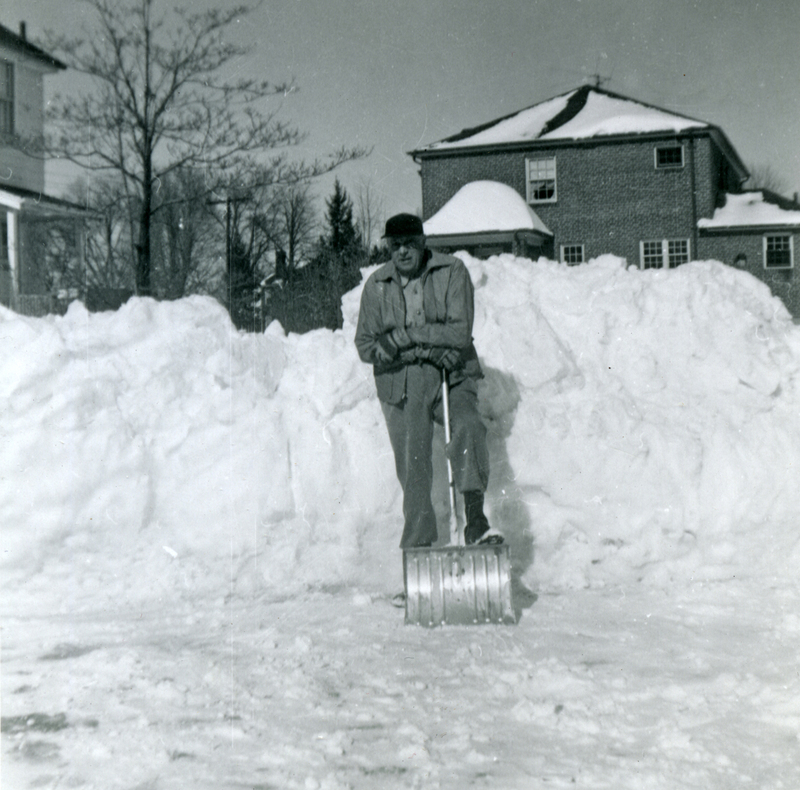 He’s clearing the driveway of his next door neighbors Dorothy and Ruth Hayden of 80 Bloomfield Ave, which exited onto Spring St. WHS collections 2014.57.10, gift of Elizabeth Tonucci. 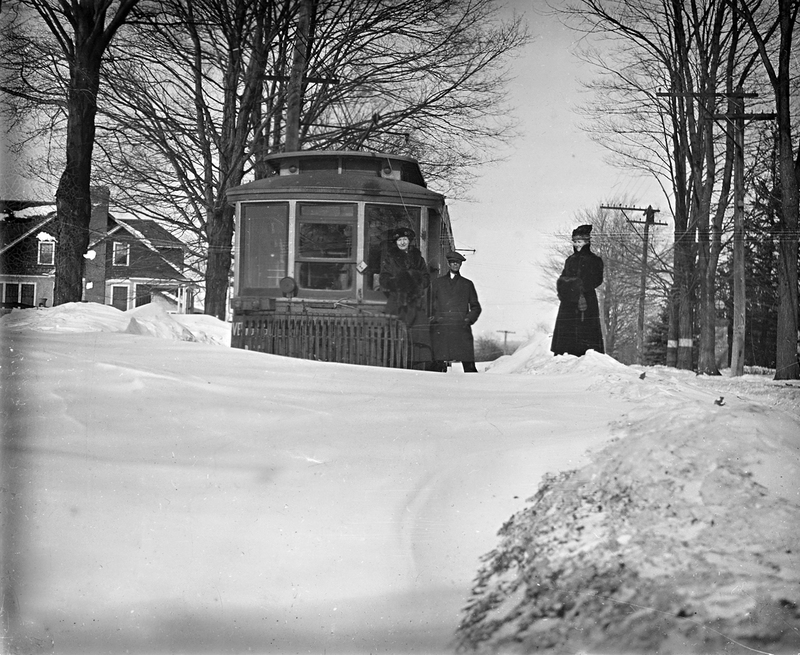 The photographer’s label for this photo, circa 1910s, is “[Trolley] Stalled on Stony Hill 5 Days”. Makes my commute seem pretty reasonable! WHS collections 1954.2.4.345, photo by William S. Leek. 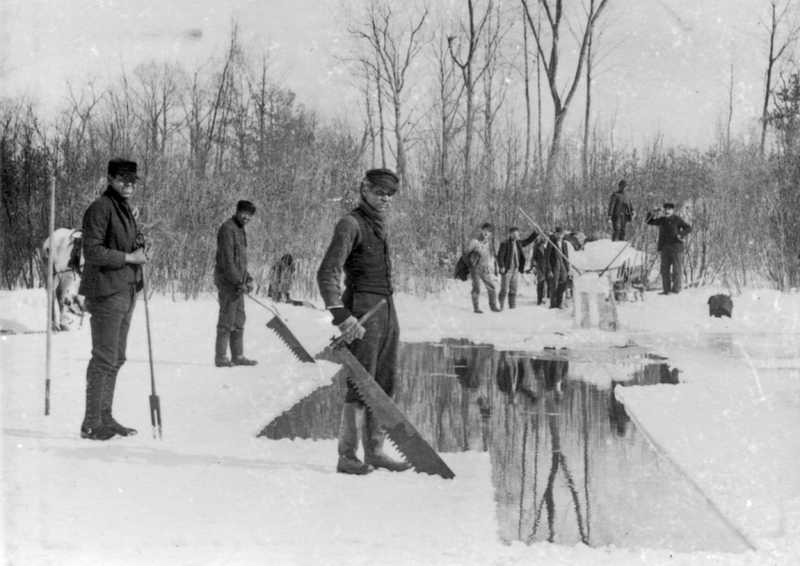 In winter, the still waters of local ponds yielded ice–a luxury that became a necessity. 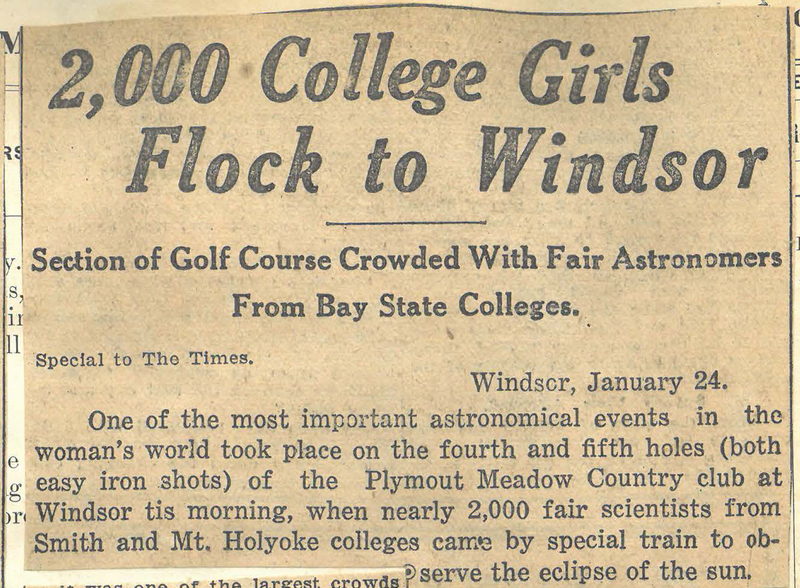 When the ice was at least eight inches thick, specialized saws and axes were used to cut the heavy blocks. These were hauled to an icehouse for storage, and sawdust or straw was spread between the layers for insulation. Several ponds in town yielded ice, including one just north of River St. in Poquonock. WHS collections 1954.2.4.196, photo by William S. Leek. George Bill of 860 Windsor Ave. deals with the effects of the winter of 1960-1961, during which three separate storms buried the northeast in over 60 inches of snow. WHS collections 1989.9.1.8, gift of George Bill. 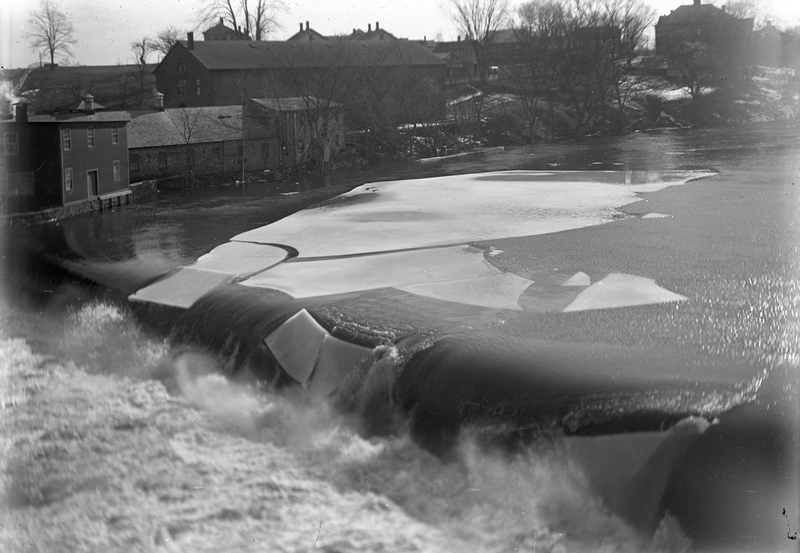 This scene from around 1895 shows a huge ice floe on the Farmington River in Poquonock, heading over the dam serving the Hartford Paper Company on the left. The Poquonock Town Hall is located in the distance on the far right. WHS collections 2008.41.38, photo attributed to C. Robert Hatheway, gift of Mary Lou and David Peters. 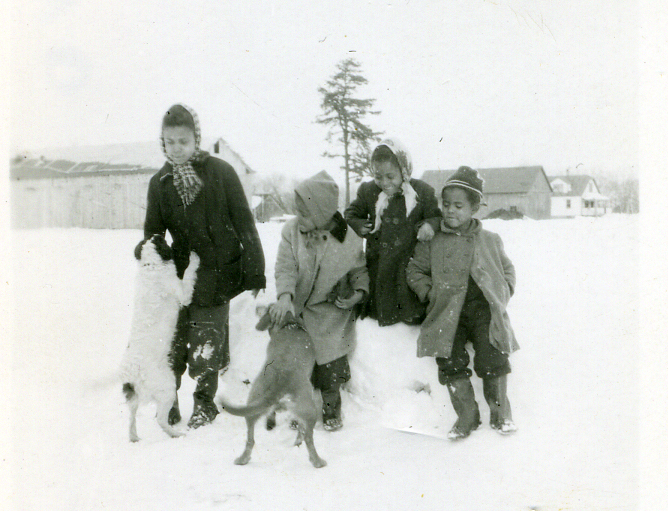 This picture was taken in the 1940s, but the children’s winter activities are timeless. 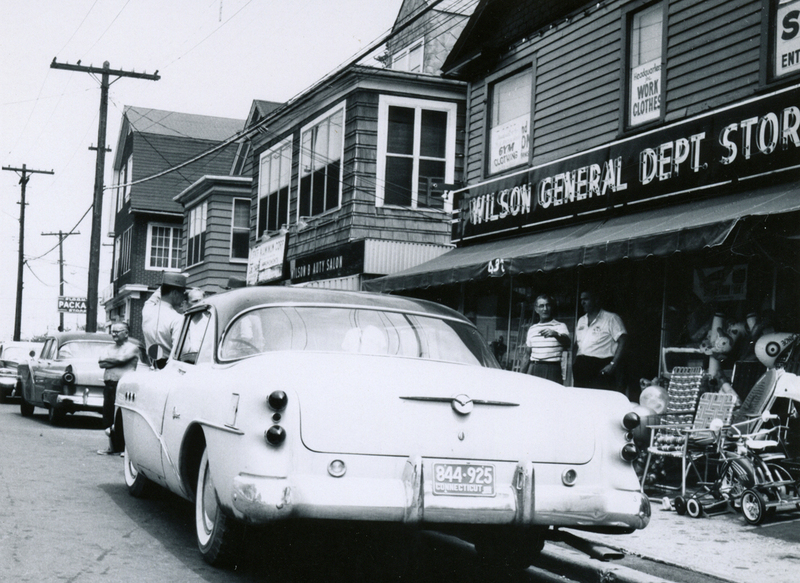 Left to right are Delia Sales (Jubrey), Ethel Scott (Smith), Patty Sales (Narcisse), and Nancy Scott (Craig), playing probably near the Sales house on Williams Street against a backdrop of tobacco sheds. WHS collections 2009.32.11, gift of Delia Jubrey. 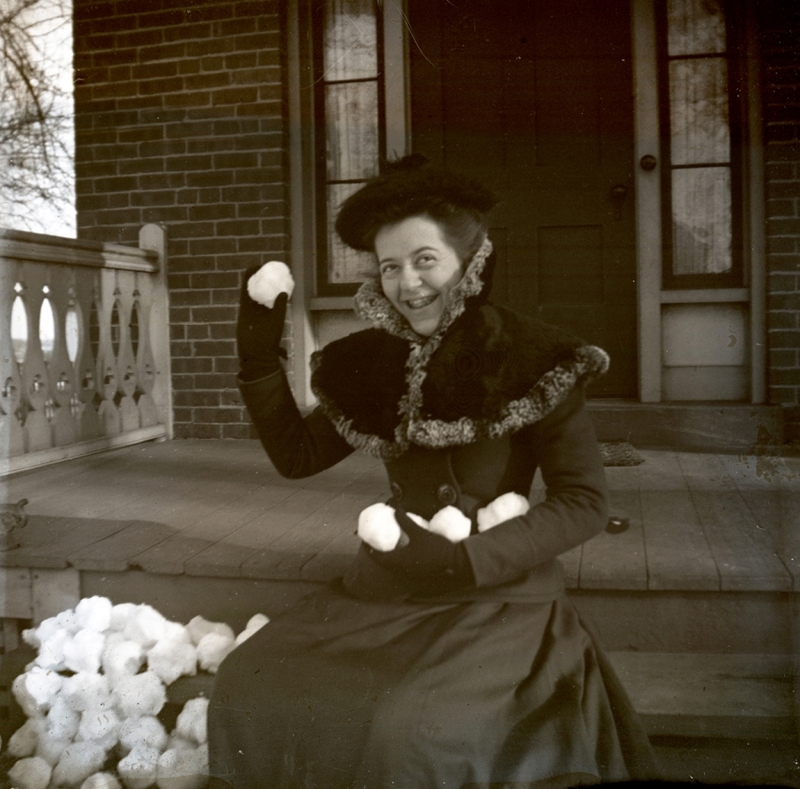 Katherine Barker Drake took this photo of a friend around the turn of the 20th century. If anyone has any idea who this well-armed combatant is (or who the people in the Hayden pond image are), we’d love it if you let us know! WHS collections 2008.5.2.14. 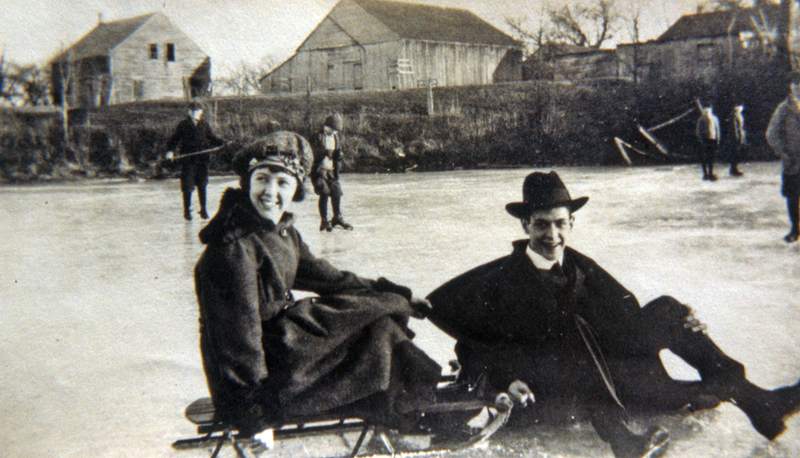 We don’t know any of these folks’ names, but according to the label on the back, the date was February 2, 1919, and the pond they’re skating and sledding (and falling?) on was located near “Hayden’s old salt house,” which probably means it was somewhere in Hayden Station. WHS collections 2017.4.254.